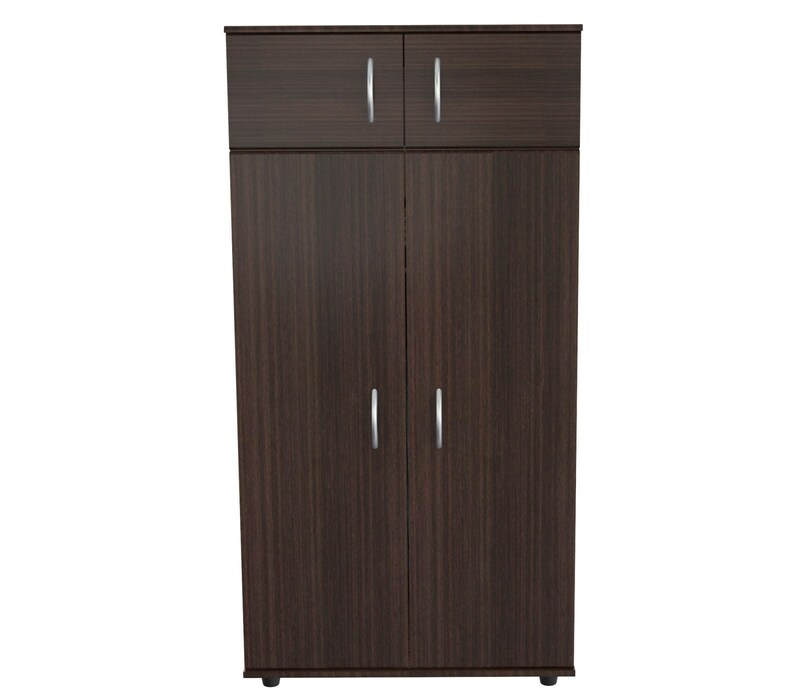 This Armoire Has A Functional Modern Design And Is An Excellent Choice For Your Home. 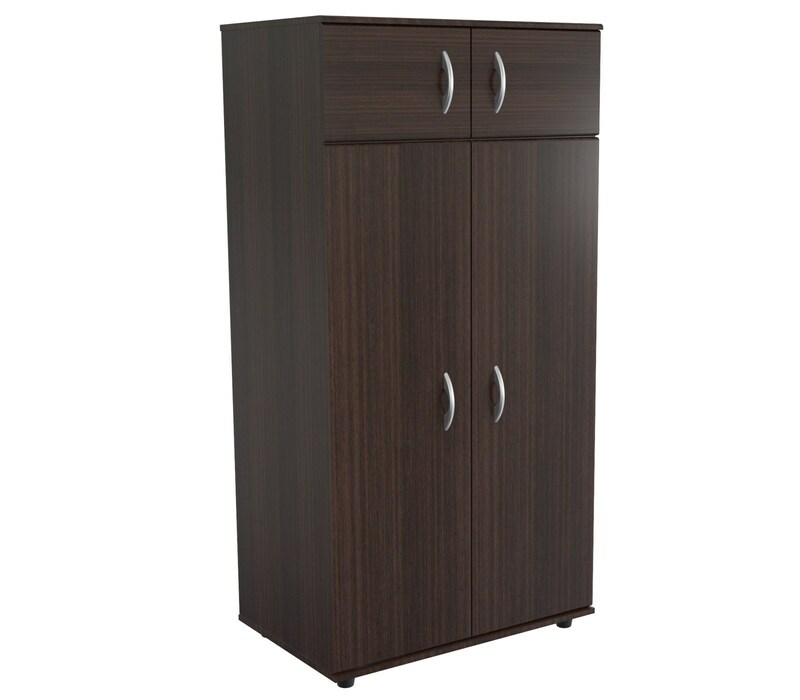 It Features Four (4) Doors With Chrome Metal Handles, Two (2) Top Shelves And One (1) Bottom Shelf For Ample Storage. 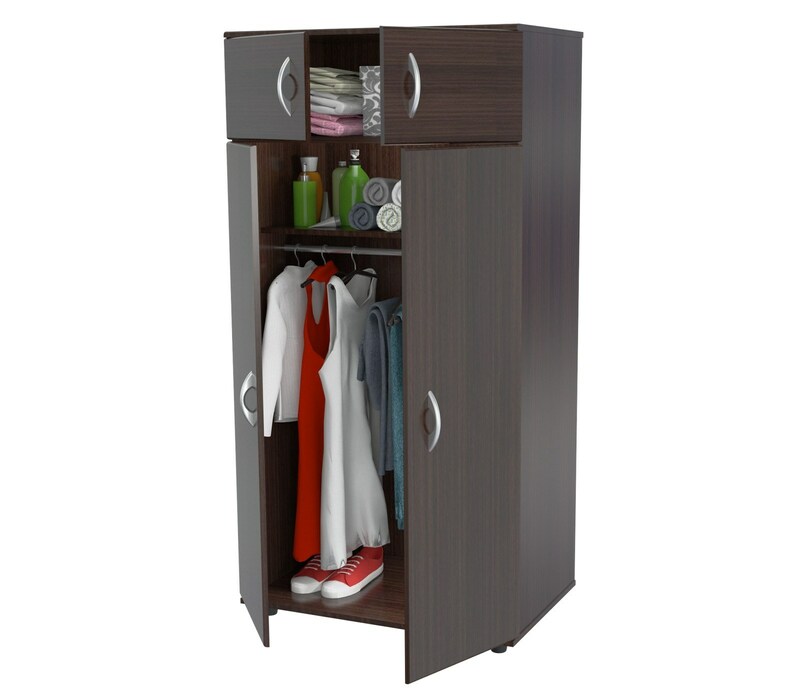 Included Is A Full Width Hanging Bar Area For Hanging Clothes. It Also Rests On 4 Plastic Feet. 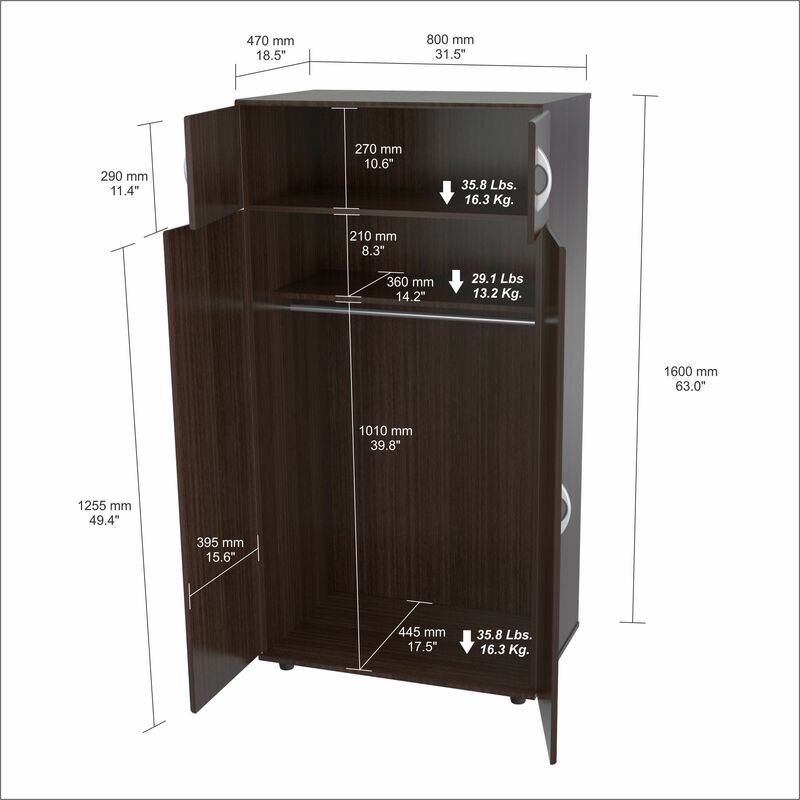 Solid Composite Wood Is Laminated In Double-Faced Durable Espresso-Wengue Finished Melamine, Which Is Stain, Heat And Scratch Resistant.